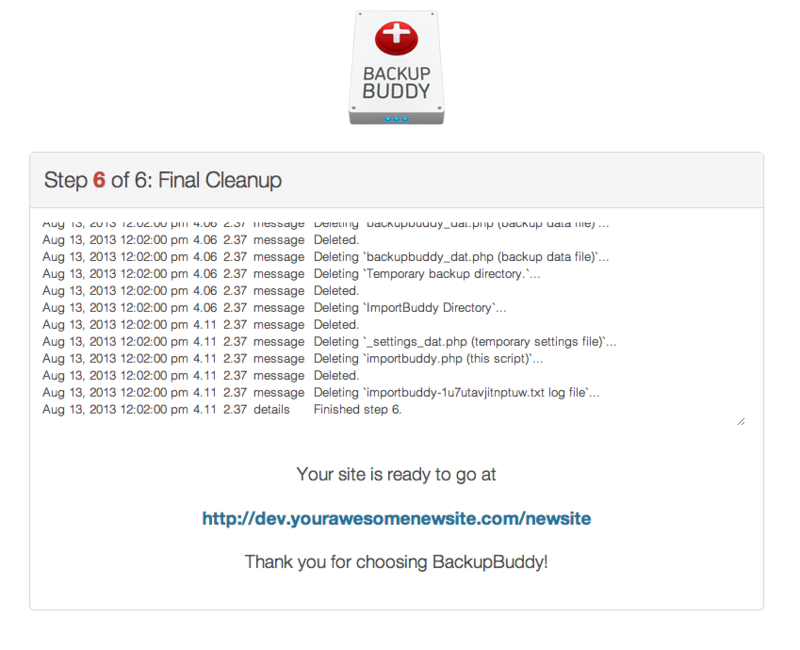 BackupBuddy handles WordPress backup and restore like a champ. 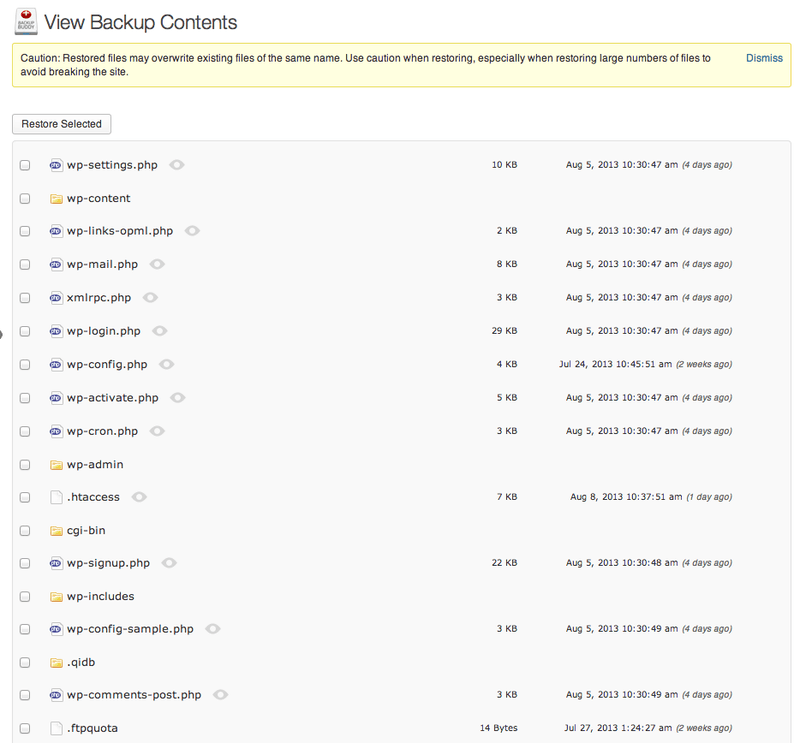 What good is a backup if you don’t also have a way to restore your WordPress site? 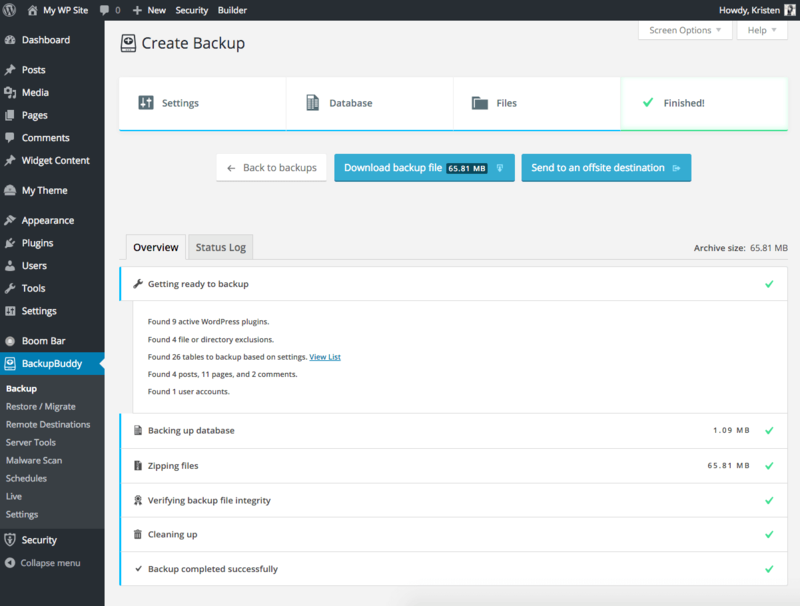 A complete backup – Unlike other WordPress backup plugins, BackupBuddy backs up your entire WordPress installation, including your media library, themes, plugins, widgets, content, settings plus your database. Don’t be fooled by backup plugins that only back up your database—that won’t be enough to restore your site in its entirety. A quick and easy way to restore WordPress – If something goes wrong, BackupBuddy can get your site up & running in no time using the restore function. Scheduled, Automated Backups – Set up backup schedules to automatically run on customizable schedules. Store Your Backups Safely Offsite – BackupBuddy includes support for Amazon S3, Dropbox, Google Drive, Rackspace Cloud Files and BackupBuddy Stash (our own remote storage destination) so you can store your backups safely offsite. In addition to backing up your WordPress site, you can restore it in just a few steps. To restore your WordPress site, just upload the ImportBuddy file and your backup zip file. ImportBuddy will walk you through the steps to restore your WordPress site, including your settings, themes, plugins, widgets and everything else. With BackupBuddy, you can also restore individual files from a backup instead of having to restore the entire site. BackupBuddy’s Database Rollback is great for going back to an earlier version of your theme’s stylesheet or template.